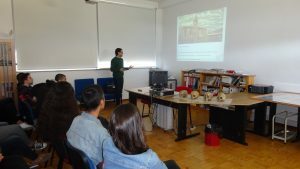 CIAS offers an exciting and inspirational experience where students get the opportunity to learn more about Biological Anthropology under the Cientificamente Provável Program (by FCT). 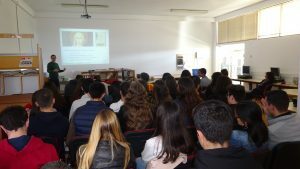 The last activity implied a visit to Dom Duarte High School on March 21st. 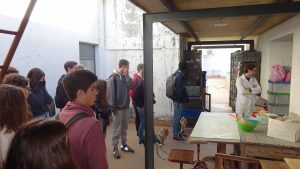 In April (3rd-4th), the students visited the installations of the research centre. Both activities were carried on by the researcher, Francisco Curate. We would like to thank all those who participated in the activity, particularly the professors and students for their enthusiasm.